Over 10 crore people buy from Flipkart and it has over 100000 registered sellers using its marketplace. A business can take off simply by joining the flipkart marketplace. Manufacturers and traders can register and start selling through a simple process. The good thing about being an online retailer on flipkart is that you do not have to maintain a showroom and you can sell at reduced prices while gaining access to millions of buyers. How to sell on flipkart is an easy process that anyone can follow. Read this FAQ that will give you most of the information you need to know on how to become seller on flipkart. Who can sell on flipkart? What do I need to do in order to become a seller on flipkart? How do I register as seller? How do I know when registration is complete? How to start business with flipkart? Does flipkart charge for listing? Is there competition on Flipkart among sellers? Does flipkart offer seller support? Can a seller be blacklisted? What is a preferred seller? What is tier 1 and tier 2 seller? 1) Who can sell on flipkart? A manufacturer can become a seller on flipkart. Traders can become sellers on flipkart. Individuals can create a proprietory firm and become a seller on flipkart. How to start business with flipkart is simple and can be initiated by visiting seller.flipkart.com, the flipkart seller hub. 2) What do I need to do in order to become a seller on flipkart? In order to sell products on flipkart you will need to register. Before you register you need to create a company, get its PAN and GST registration as well as open a bank account. Also keep ready address and ID proof. 3) How do I register as seller? How to register in flipkart is easy. Navigate to seller.flipkart.com which is the flipkart hub for sellers. Fill in email ID and phone number and click on “start selling”. Follow the online form and fill in details to complete registration process on flipkart. 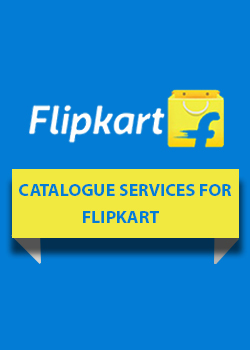 You can contact flipkart customer care for help and guidance or drop mail at seller@flipkart.com. Flipkart toll free number is 080 6798 1111. 4) How do I know when registration is complete? Registration as seller on flipkart is 3 step process. 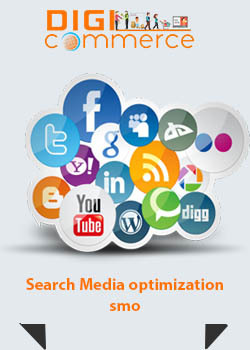 Fill in details, manage profile and carry out verification process. If all documents are in order you are approved. If not you need to take corrective action. Your email and phone number are verified during registration. 5) How to start business with flipkart? How to start business with flipkart involves following a few steps such as listing your products along with photographs and short write up of products you wish to sell. You can only sell if you have a minimum of 5 products in listing. In order to start listing products you must log into your account at seller portal and choose listing tab and click on add a listing. For help you can always call flipkart customer number or flipkart customer number kerala if you are in Kerala. 6) Does flipkart charge for listing? How to sell products on flipkart involves registration and listing that are free of charge. You only pay from your earnings when products are sold. 7) What about pricing products? If you wish to achieve success in how to sale on flipkart you need to price products just right so research similar products on flipkart to know prices. When you price a product you must know about flipkart seller fees and all other charges that will be deducted from final amount. Flipkart delivers to over 1000 locations in India and has specified flipkart pickup locations from where it will pick up parcels through its own courier services partner. 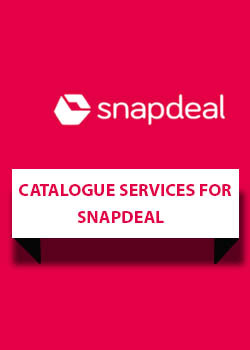 If your city PIN code is not in the list, flipkart will not handle shipping. When flipkart adds the PIN code, it will notify you by email. You can call flipkart helpline no. in case you have queries. GST registration certificate is mandatory for flipkart business except for some select exempt items but for flipkart registration process itself, GST is necessary so get registered. 10) Do I need PAN? PAN is issued by the income tax department and it is mandatory if you wish to sell products on flipkart. 11) Is there competition on Flipkart among sellers? How to become online seller involves a lot of competition from sellers based all over India showcasing products on Flipkart but still everyone flourishes. WS Retail, the biggest seller had more than 20% share of sales on Flipkart which exceeded the limit so flipkart formed retailnet seller address along with others such as supercomnet, all of which are part of flipkart. Do not worry about retailnet flipkart seller address. 12) Does flipkart offer seller support? Flipkart offers full support to sellers and flipkart complaint no. or flipkart helpline no. for sellers is 080-6798-1111. Flipkart customer care is excellent. 13) Can a seller be blacklisted? If seller sells fake products or breaches the contract or does anything that is unfair his account can be suspended and he cannot sell on flipkart. In such cases sellers can reapply after six months. 14) What is a preferred seller? Any seller who is considered by flipkart as best for a certain product is a preferred seller and shows up at the top of sellers lists. It depends on pricing and quality of service of seller. 15) What is tier 1 and tier 2 seller? When you start flipkart business you will be put into tier 2 level in which case you get payment after 10 days. Sell 30 products and last a month and you will be upgraded to tier 1 in which case you receive payment after 5 days. Nice blog. keep it up, you have done great job. i have lots of question in my mind how to sell on flipkart but now i have clear lots of doubt by reading the blog. Nice collection of question and answer, its really helpful for me or others who want to sell product on Flipkart and register as a Flipkart seller. Nice collection of Flipkart faq.